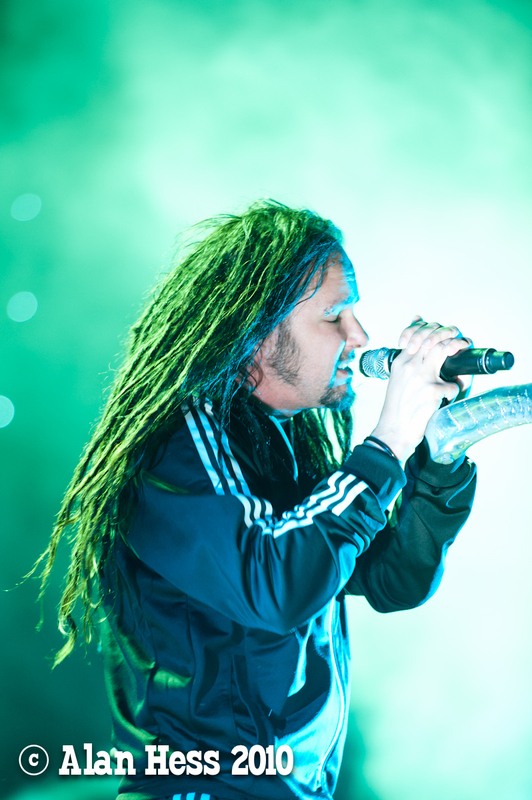 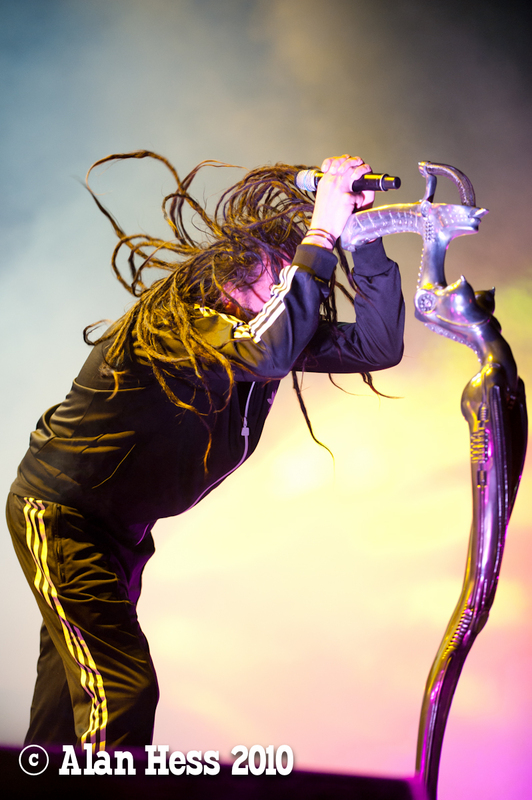 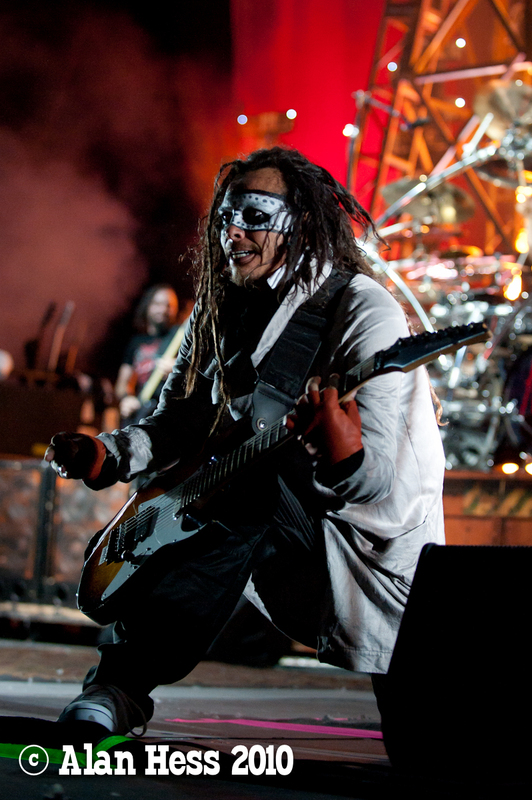 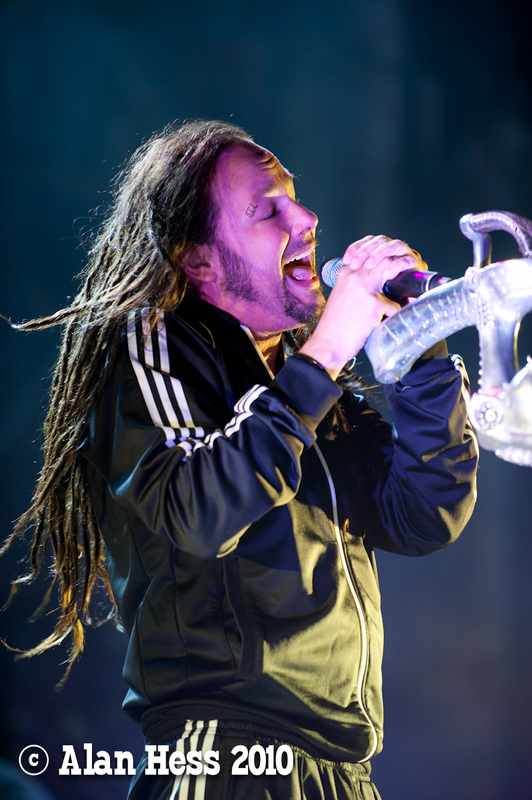 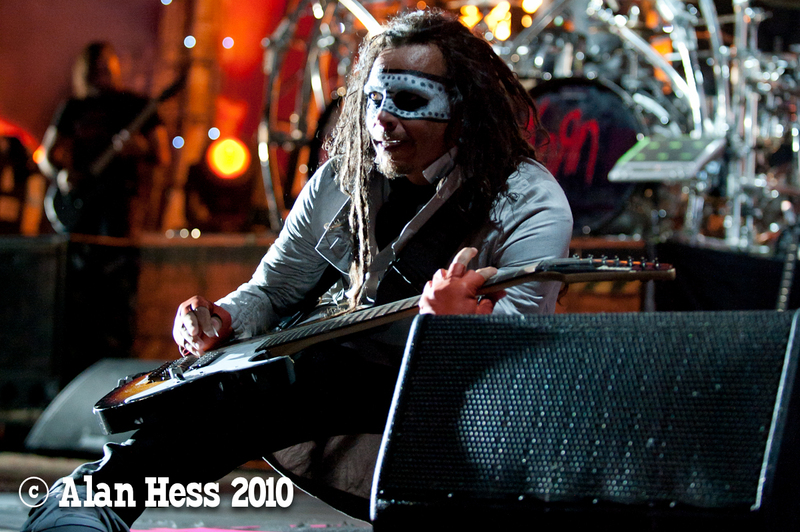 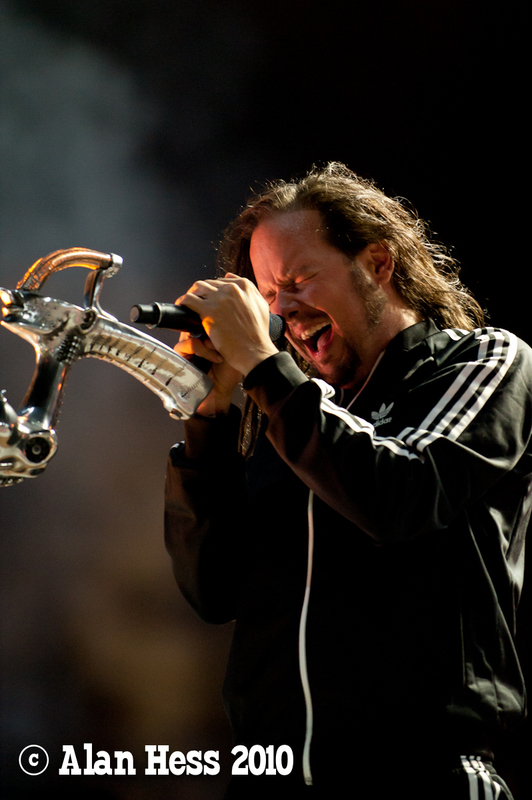 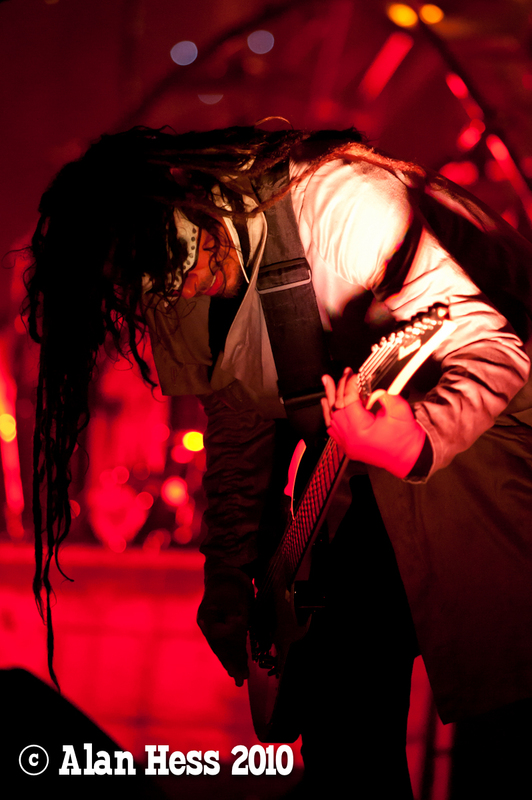 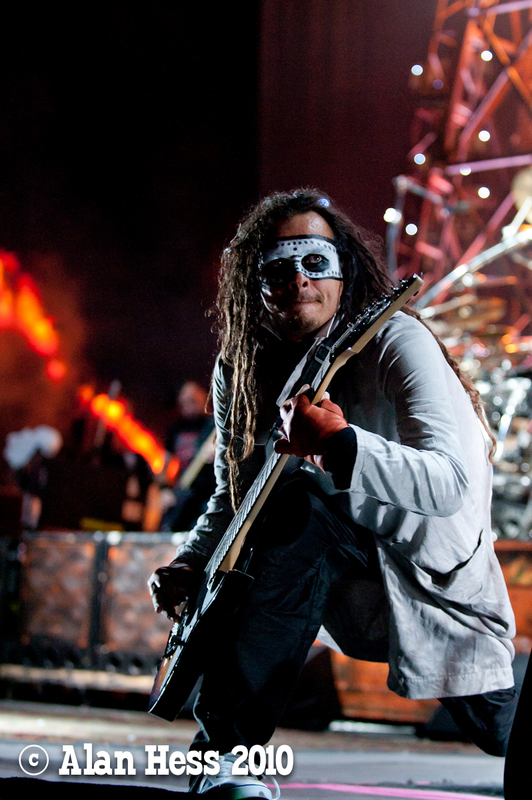 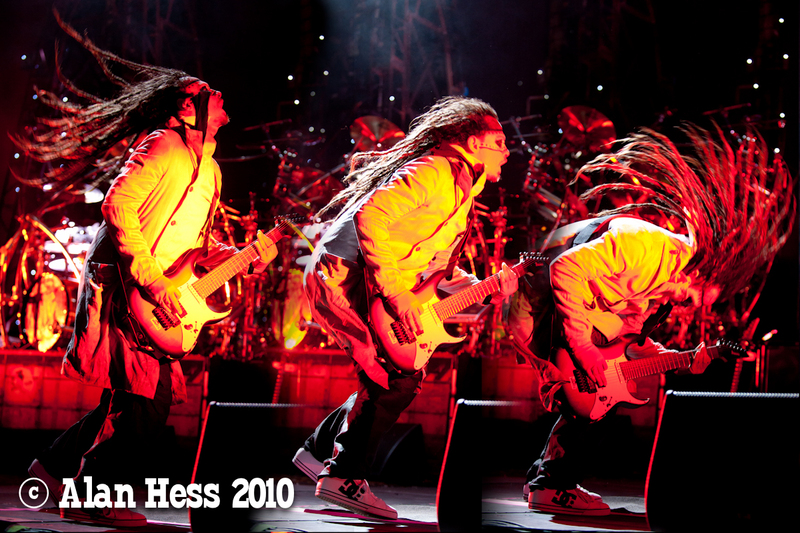 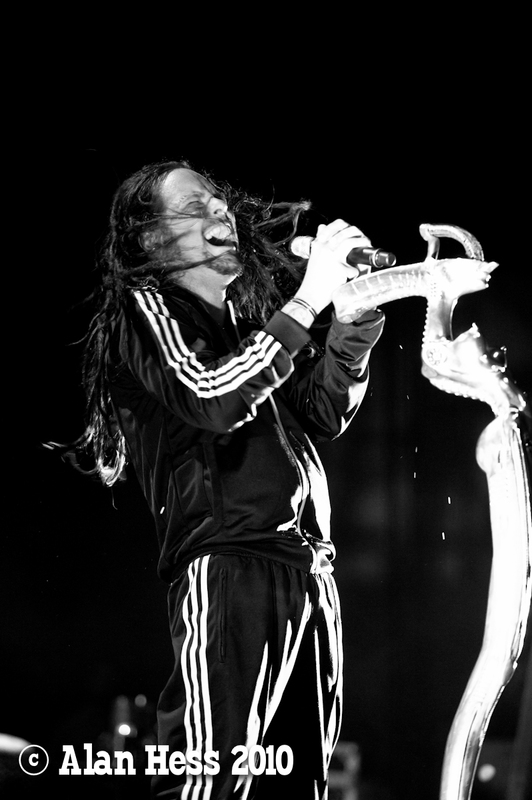 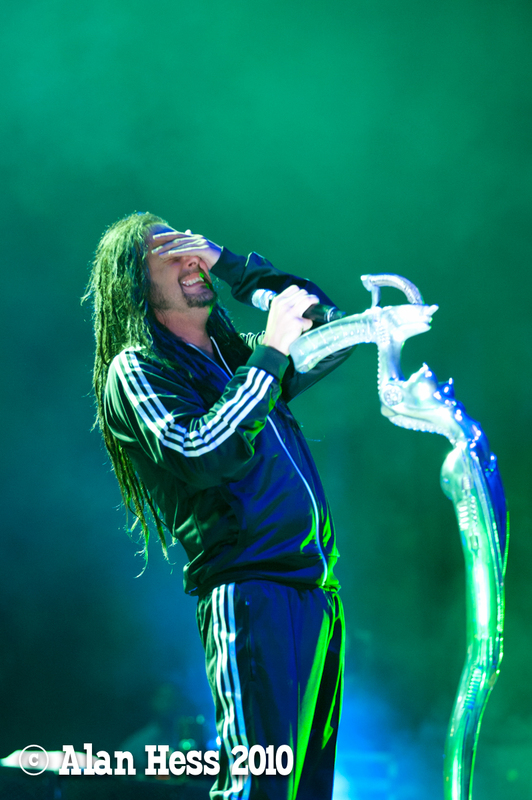 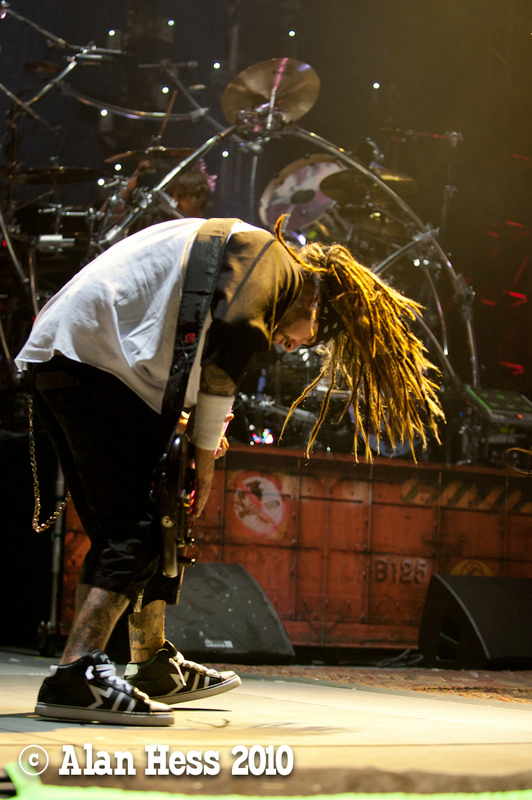 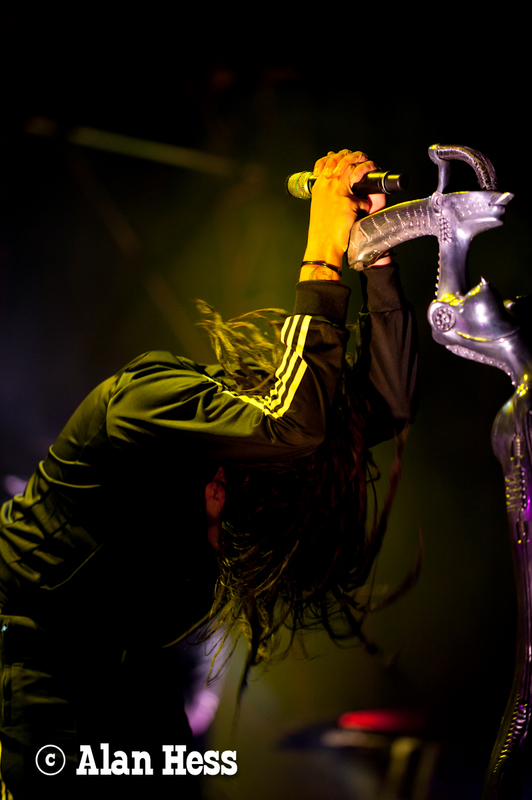 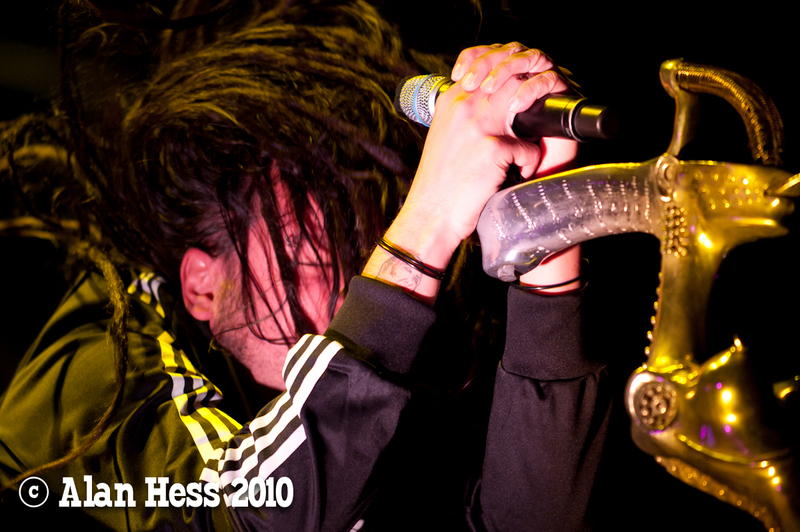 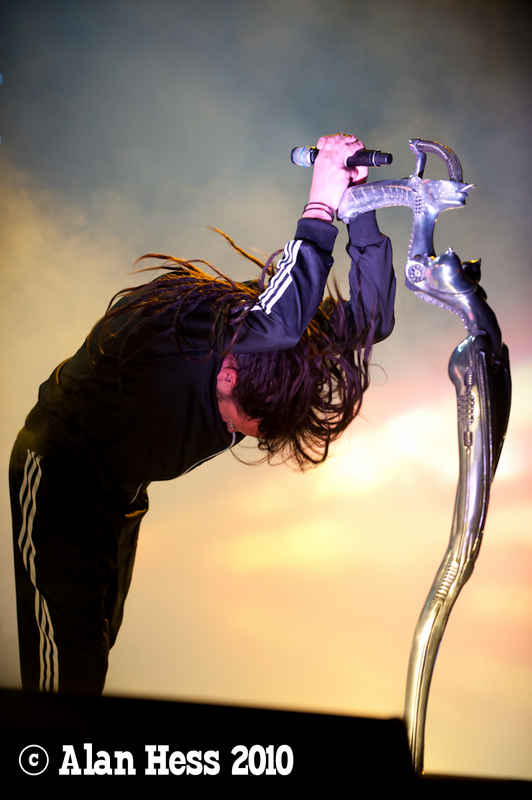 Time for the 2010 Mayhem Festival headliner: Korn. 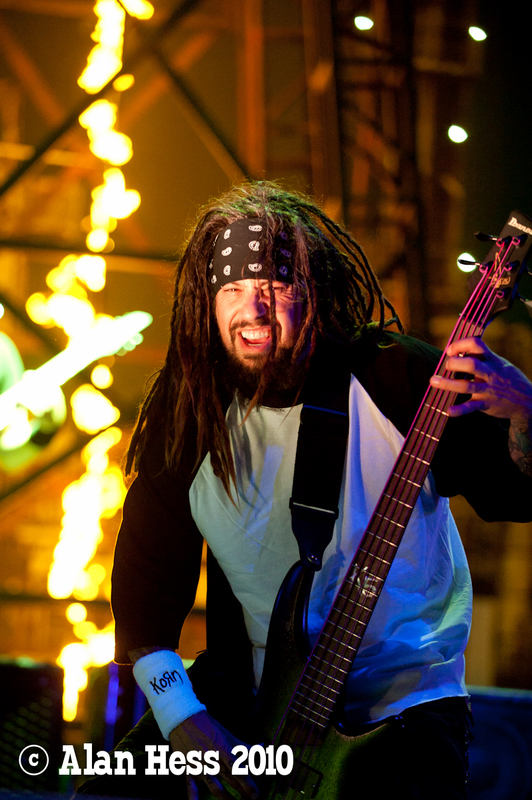 These guys were great. 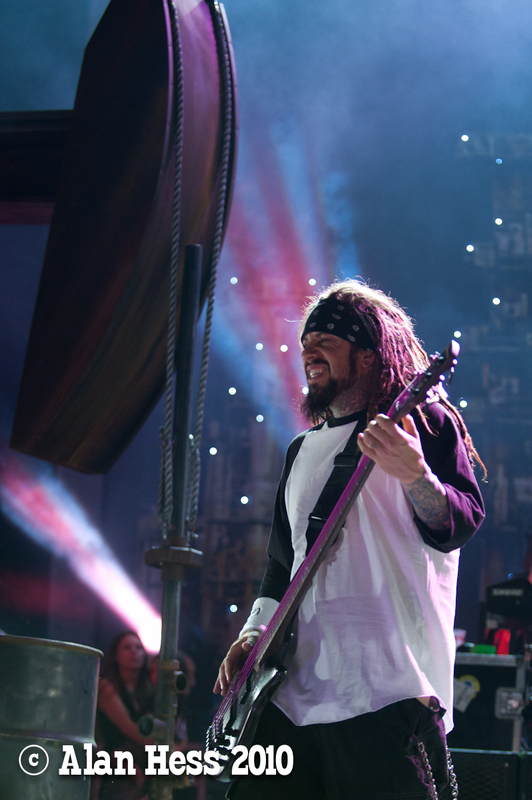 The light was a little tough but after the Rob Zombie set, it seemed great. 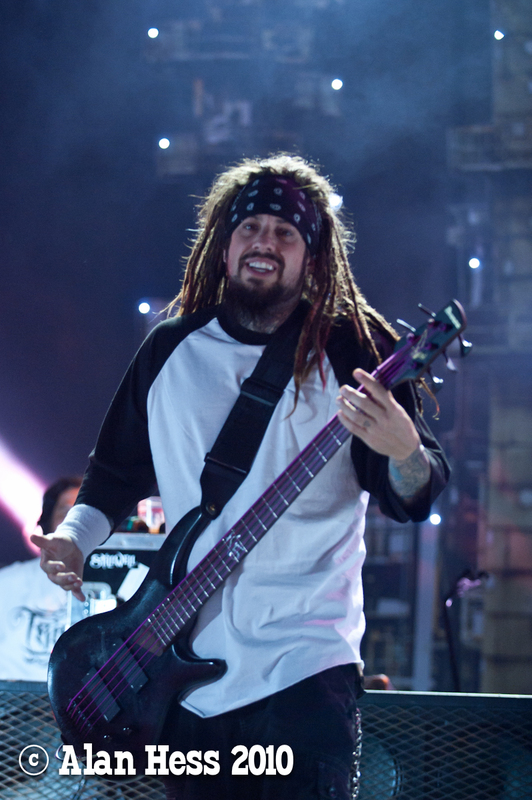 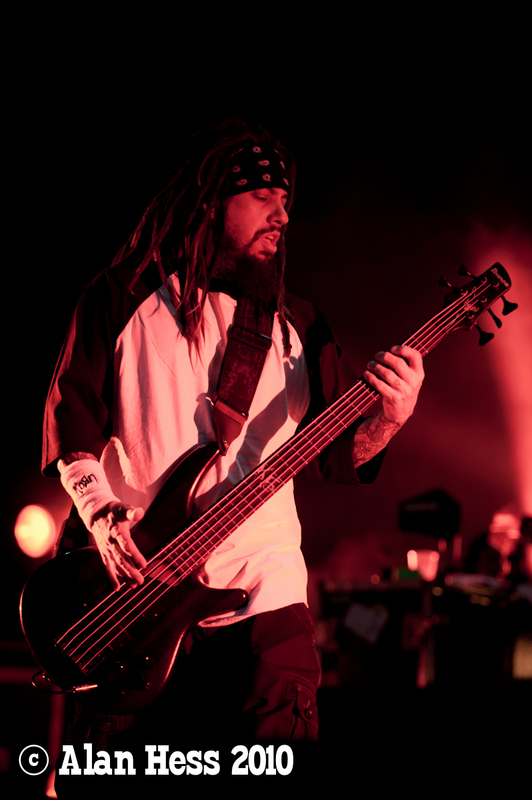 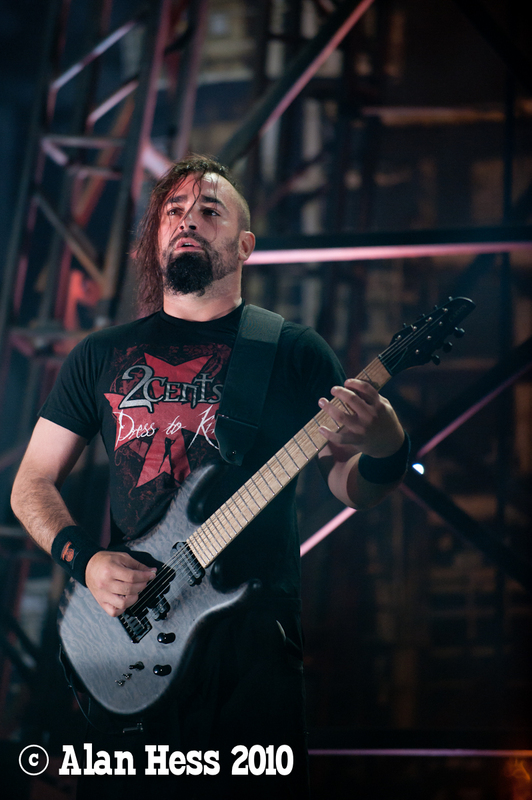 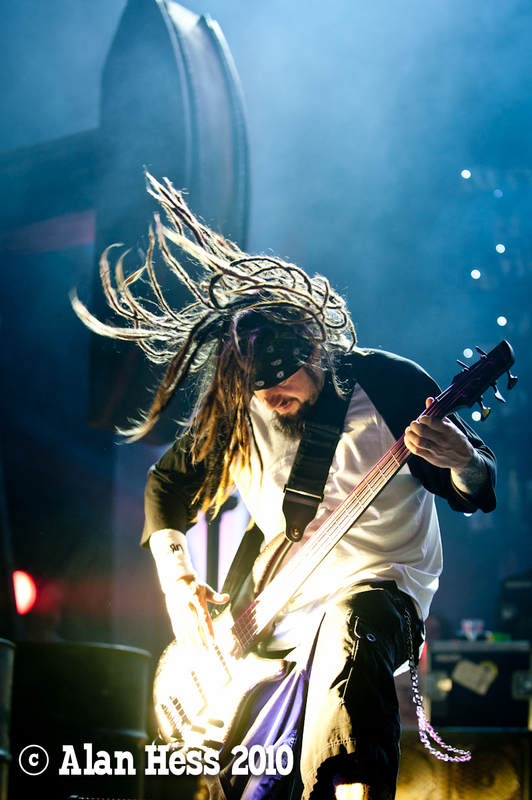 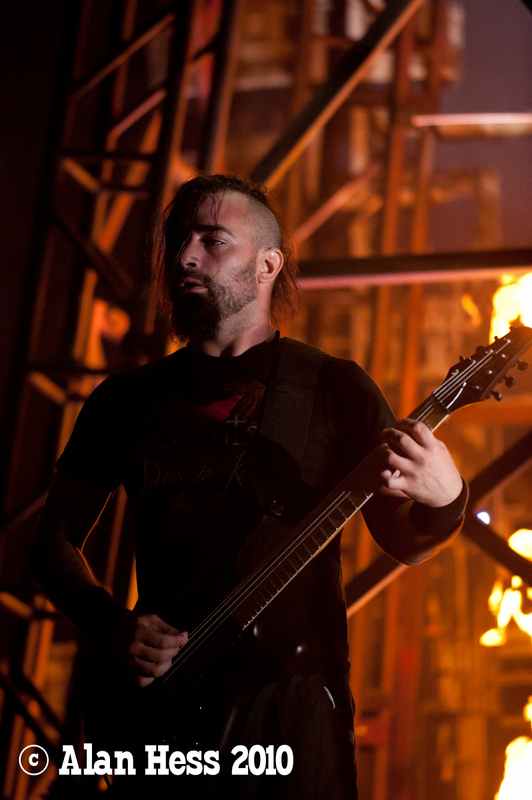 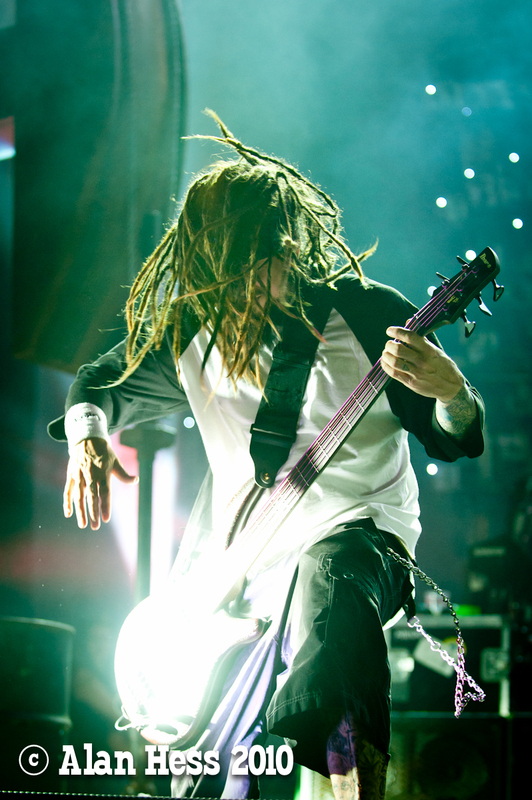 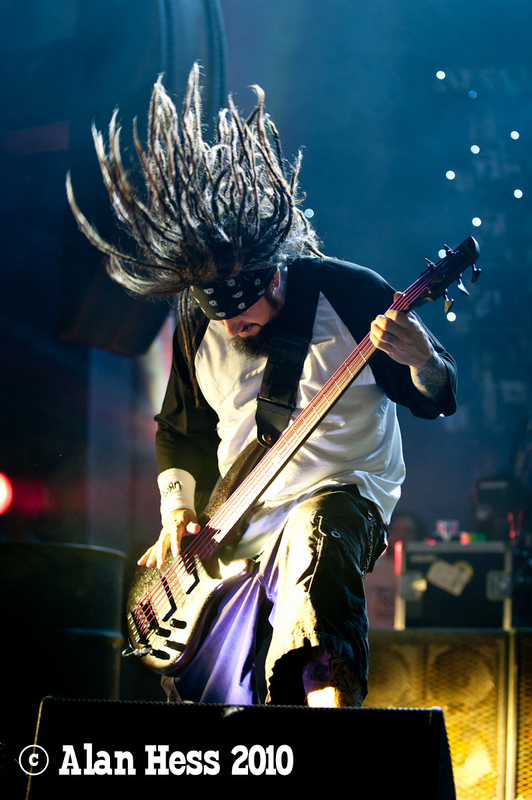 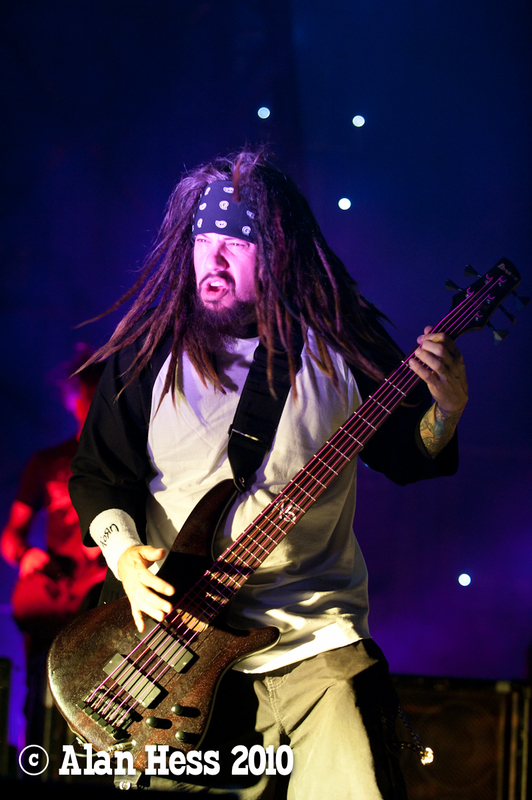 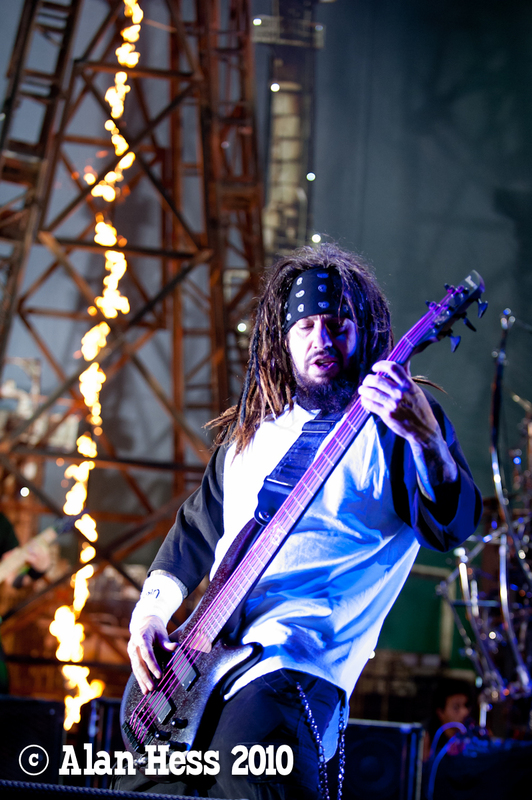 I started over in front of James ‘Munky’ Shaffer and slowly moved my way over to Reginald “Fieldy” Arvizu all the time angling back toward the center trying to capture Jonathan Davis on vocals. 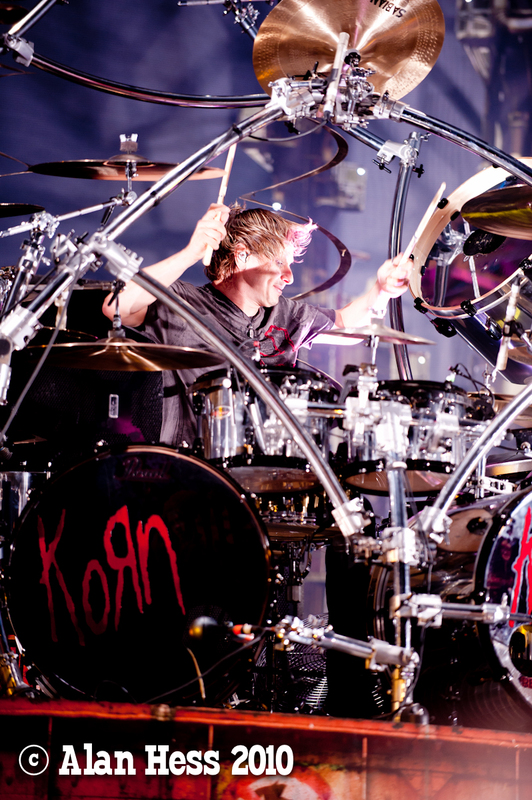 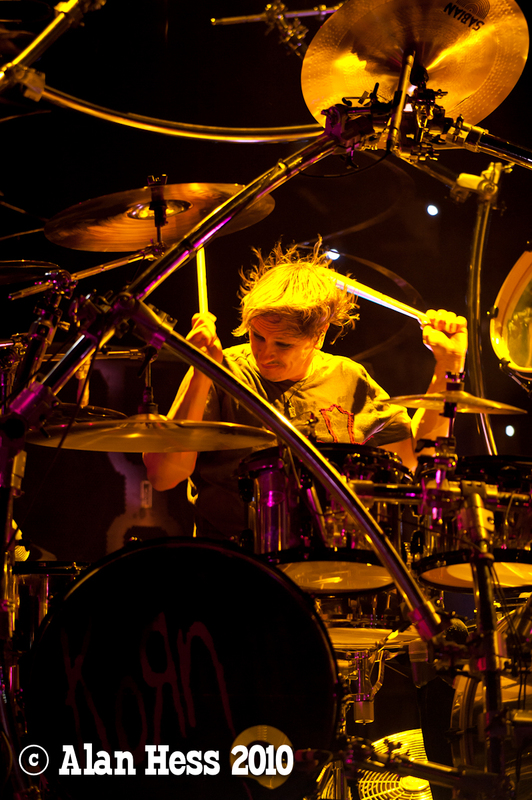 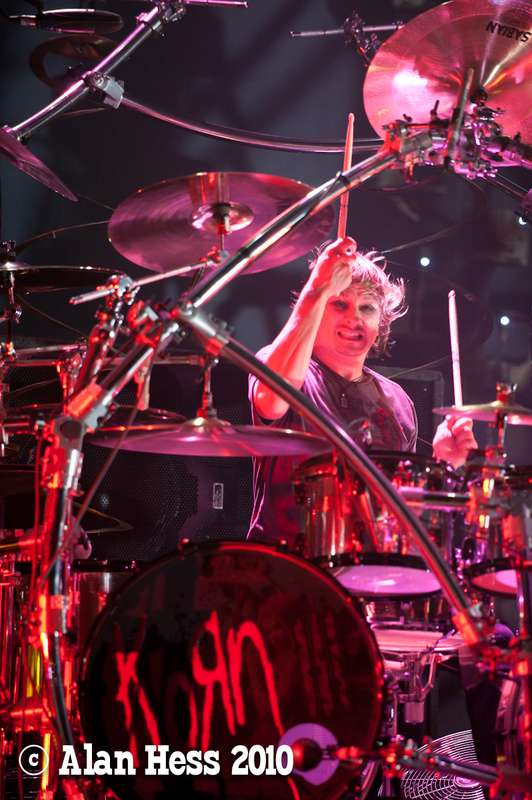 The surprise was that I could actually shoot the drummer, Ray Luzier since he was set higher up and was lit well. 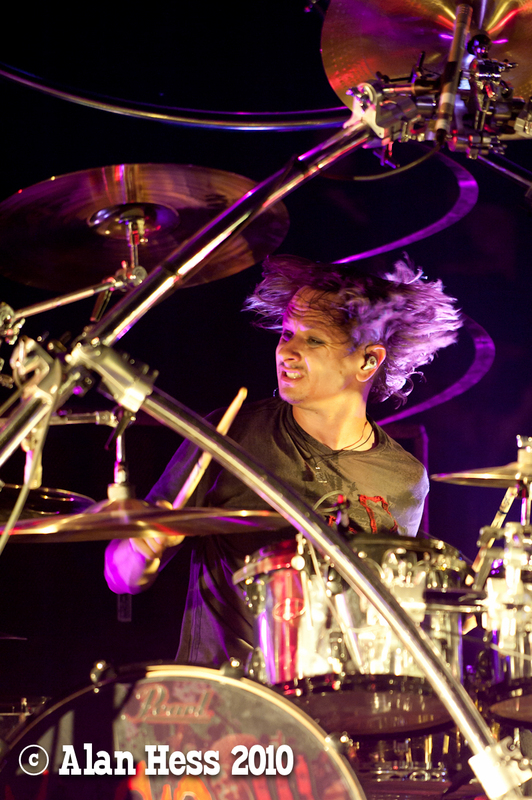 This was the last set of the night and was the most fun to shoot. 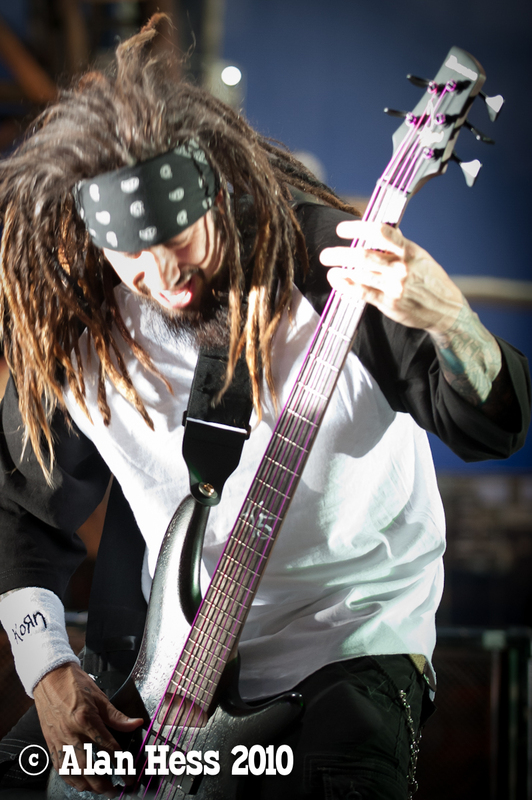 photoshop user magazine. 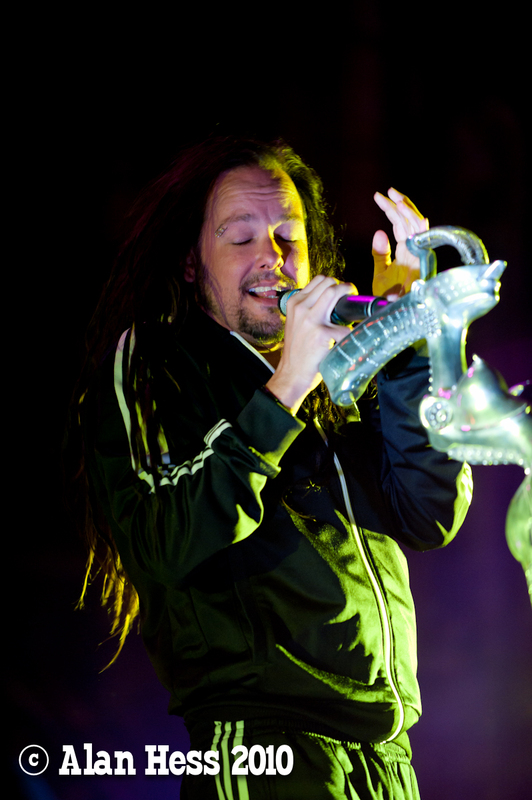 I’m going to also visit David’s blog. 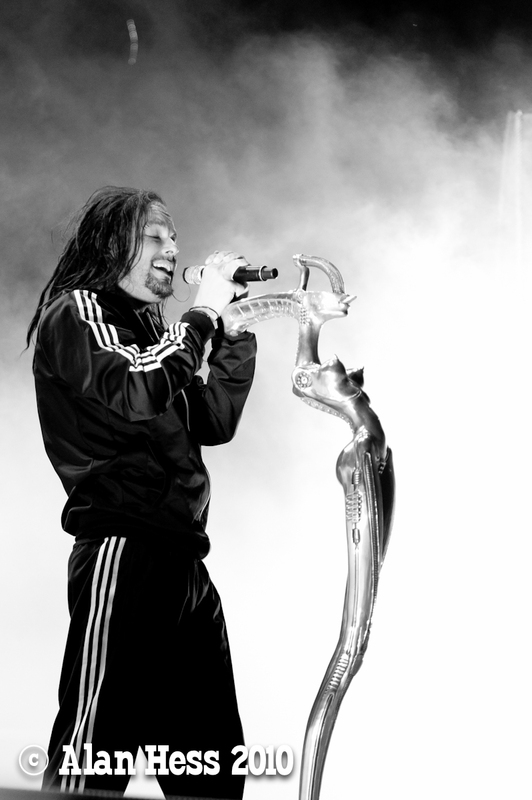 And also atempt to do steps one through twenty seven in your: How to bring your line art to life.